The Couples, my novella, will be published by Mason Jar Press in summer 2019. في ديوان “بين قارّتين” للشاعرة سمر عبد الجابر، جرأة فتح السؤال على البدايات. ثمة فلسفة تخترق المعاني فتتبدّى بدايةً.. أظلال الدلالات والإيقاع؟.. “متى بدأ الحزن؟”.. مناخات عميقة وخصوصية شعرية تنهمر بسلاسة.. أإيقاع الغياب؟! “كيف كانت الأرض حين هطل المطر للمرّة الأولى؟”.. تقف القصيدة، في معمارها الشعريّ-التأمليّ، على مفترق لحظة العدالة.. على مفترق الغيابْ حيث فلسطين تنتظر. “كان عليك أن تحدّق جيّداً في عينيّ الغزال الواسعتين قبل أن تطلق النار.. نظرةً حزينةً إلى الأبد”.. حكايات تنهمر من الماضي والآتي.. في البدء كان الشعر. How do languages speak to each other? Through poetry, of course, and Translucence illuminates such a correspondence, an exchange, a dance. Abdel Jaber and Callihan’s parallel scripts and lyrics shine beautifully side by side, over and under, voicing loss, longing, and love. These poems address and redress “what it might mean/to disappear/into the self/into the sea." 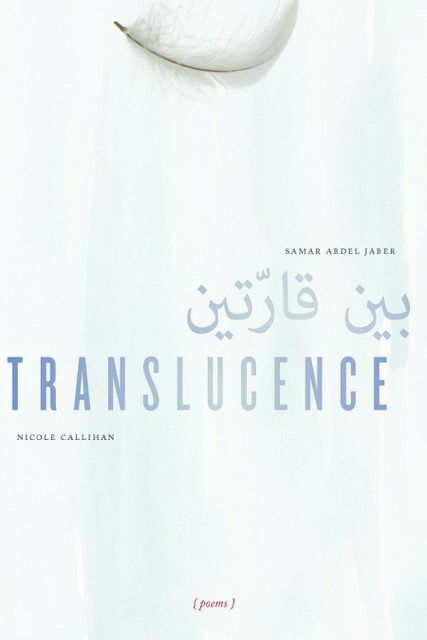 Co-written with Palestinian poet, Samar Abdel Jaber, Translucence reckons with what it means to translate across bodies, culture, and time. The poems which appear to be translations of each other, but are not, explore the ways in which we utter ourselves and our experiences. 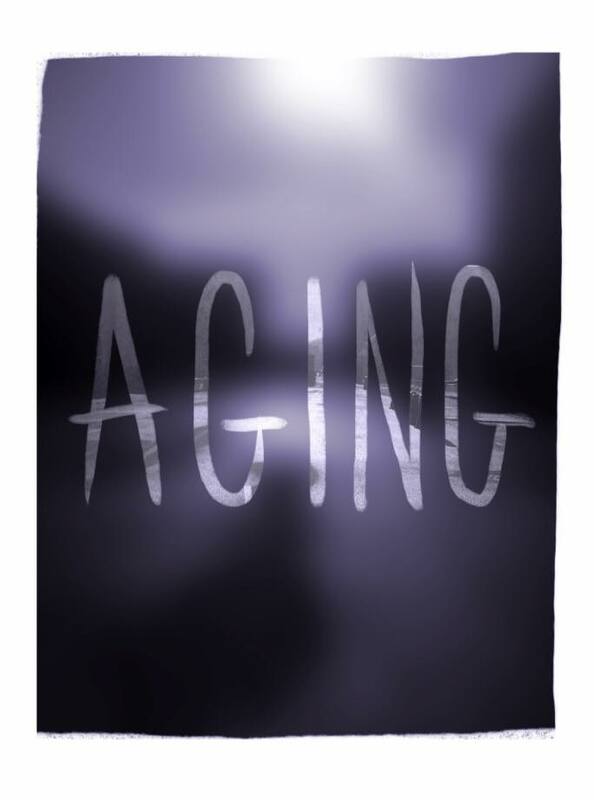 "Nicole Callihan’s chapbook, Aging, takes the reader on an exquisite and magical journey. Her poems catch snippets of a life in motion, while repetition serves as an effective thread, connecting, unwrapping and surprising us along this journey. The mood of these poems is delightfully unpredictable. In a nod to aging, she tells us in one line “I keep wandering to graves” yet, a few lines down, in the same poem, Callihan shares, “I hope at least to keep my teeth” and I imagine the poet delivering this line to us deadpan. These poems are kaleidoscopes, each reading reveals a secret and unexpected nuance. Nature and family and musings on life and death all take center stage here. Callihan’s language is delicious. When she offers up the alliteration “I fickle and fume and finger the flowers” the reader can’t help but savor how her words and images roll off the tongue. She leaves us wanting more. Aging is a guidebook you will find yourself returning to again and again." "Reading Nicole Callihan’s Aging is like walking a labyrinth: each poem takes the reader closer to the center of self-reflection before journeying back out into the world. This deeply meditative collection is grounded in the body—the ways it fails us and our shame—and the small joys of being alive. Though the poet asks, “What else can I offer,” ultimately she affirms, “This must be enough,” where enough is sometimes sufficient and sometimes too much. These poems do not promise a panacea for aging; they “tilt toward meaningfulness” and ask for reprieve." The poems in The Deeply Flawed Human re-imagine the poet as artist describing 30 works of art in the form of museum wall labels at a retrospective exhibition. "These poems -- lush, vulnerable, deeply playful, and wise -- dazzled me. The great gift of Callihan's imagination is the way it lights yours up, as you're reading. The cumulative effect is brilliant: Callihan has made a shimmering gallery in honor of the heart-breaking, hopeful art of inventing life." "The "I" is deeply flawed and gives off a helluva lotta noise. But in The Deeply Flawed Human, Nicole Callihan explores her deeply flawed "I" in ingeniously artful setting after setting. And it's so much fun to watch as more and more disintegrating selves pop out of this deeply flawed matroyshka where microwaves and funfetti share the frame. And it's also sad and honest and beautiful to watch these selves studying the face they share, beneath which they're all angling hard for a shot at the light." Jennifer L. Knox, author of Days of Shame & Failure (Bloof, 2015). Winner of the 2015 Baltic Writing Residency Chapbook Contest. Chosen by judge, Bob Hicok. In 1904, the building of a planned community began, and the Henry River Manufacturing Company started producing fine cotton yarns in 1905. In its time, Henry River Mill Village was a completely self-sustained town: it operated under its own currency, generated its own electricity and churned its own moonshine. While the mill thrived during its operating years, the twelve-hour shifts often proved back-breaking for workers. By the time the 12,000 spindles slowed to a halt in the early 1970s, many workers had hoboed out of town looking for higher wages. The mill itself burned down in 1977, but the two-story company store and many of the worker’s houses remain, creating an eerie silhouette—and serving as inspiration to both artists and filmmakers—in Burke County. Writer Nicole Callihan, whose grandmother grew up “on the hill,” combines forces with longtime Henry River resident Ruby Young Keller to create this compelling account of a mill village turned ghost town turned Hollywood movie set. Having gathered stories and photographs from former residents and their families, Henry River Mill Village emerges as not simply a rich account of North Carolina textile industry but as a true testament to a community that flourished even in hardship. Course reader for the Expository Writing Program, NYU Tandon School of Engineering. Four American Poets is a collection of incandescent poems about the experience of living in, and trying to understand, America. In streetwise ballads and searching monologues, Philip Fried, Nicole Callihan, Jay Passer and Michalle Gould reinvent form and stretch the boundaries of poetic language in their quest for truth and integrity in a dangerous and fragmented world. THE EXERCISES IN FROM MEDUSA TO THE SKY grew out of Teachers & Writers Collaborative’s long history of providing creative writing programs for students in New York City’s District 75 schools and classrooms, which serve students with special learning needs. First published in 2001, Medusa has proved to be a favorite resource for teaching artists—writers working in K–12 schools—as well as classroom teachers. Although the exercises were developed by Teachers & Writers Collaborative teaching artists who taught special needs students, the ideas in this book have been used as a starting point for lesson plans to engage a variety of young learners in imaginative writing.